These are our bathrooms. You can click on any of the photos for a larger view. 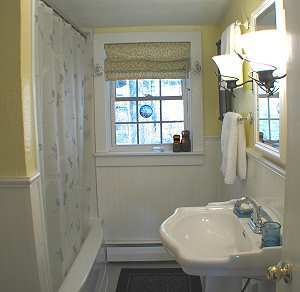 Upstairs we have a full bath with tub, shower and a sink. 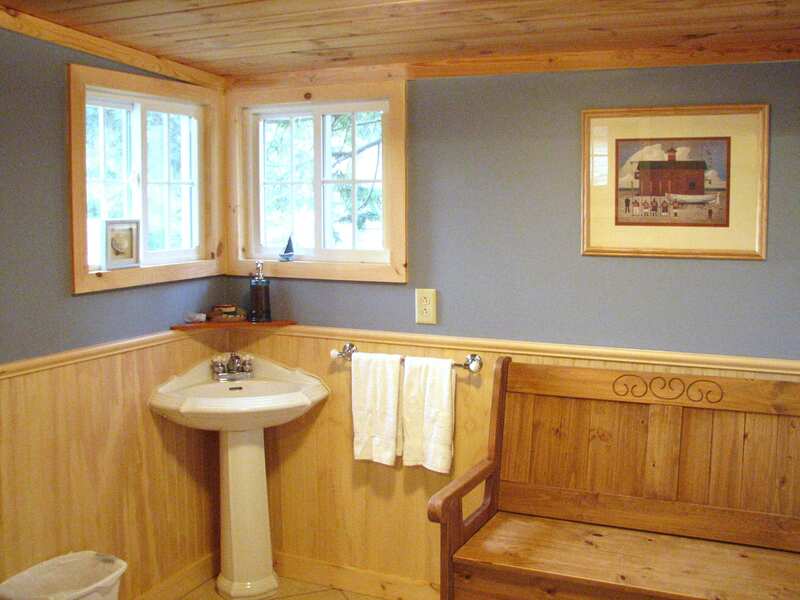 Downstairs we have a half bath that has a large bench for changing. 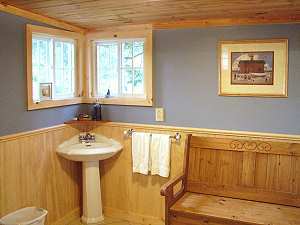 Full bathroom with tub shower and sink. Towels are provided. 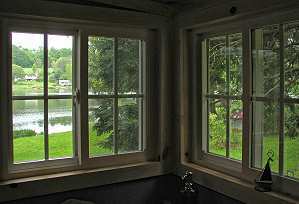 Window looks out on wooded hillside. 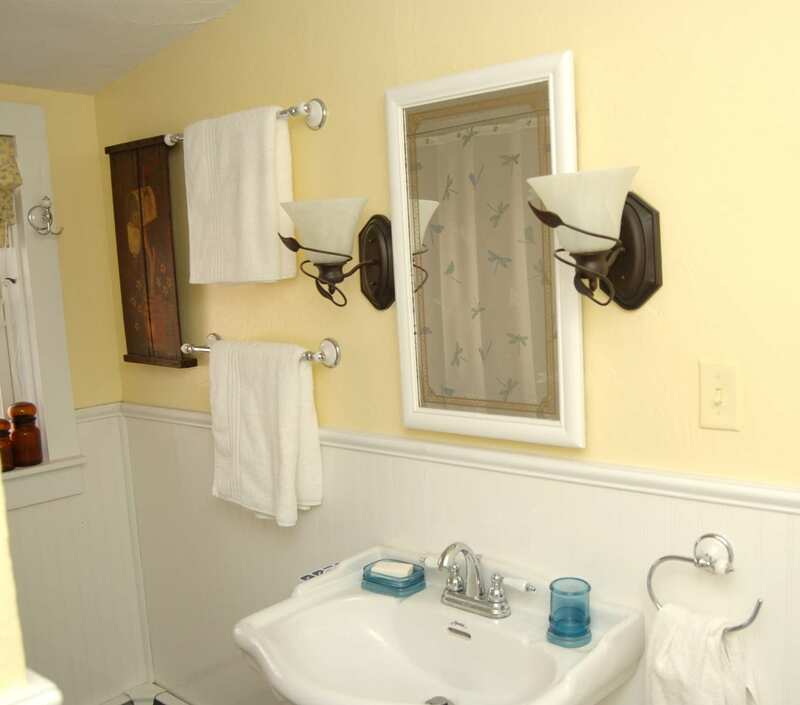 This bathroom also has lots of hooks for clothes and wet towels. Half bath downstairs with plenty of room to change and a bench. View from downstairs bathroom window.